Singers often get left out, at least when compared to the toys heaped on guitarists and keyboardists. But vocalists looking to add effects and loop their vocalizations can now do so in one box, all attachable to a mic stand. Looping includes 30 seconds of sample time, 25 separate loops, and integrated onboard effects. To make it easier to use in performance, there are convenience features like touchable preset recall, favorites, and an easy “talk” bypass switch. Effects include tempo-synced delays, harmonization, reverb, and the usual EQ / compression / de-ess, so you can go a bit wild or stick to the basics. The touch-membrane control layout screams the 1980s to me (as a child of the 80s myself), but the functionality looks really strong. I/O is generous, too, with guitar in and thru, USB for audio connections to the computer, an aux in for other devices (like an MP3 player), and MIDI input for controlling harmonies from a sequencer or keyboard (or something else). 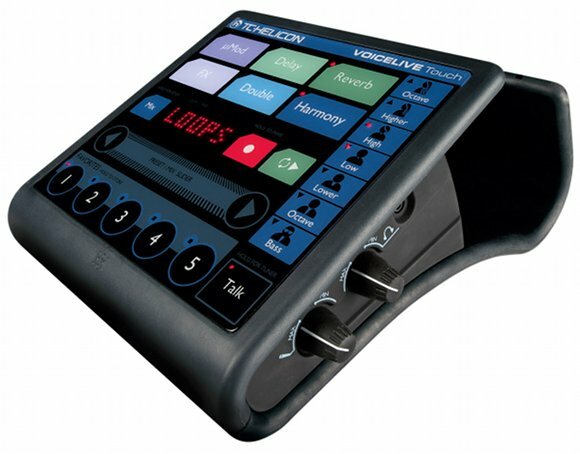 To me, the combination of TC-quality effects, looping, and all that I/O ought to pretty easily justify the US$695 list; the bigger question is whether the kinds of vocalists who want to do this kind of looping have already gotten used to a looper from another vendor (like Korg or Roland/BOSS) that they prefer, and whether the looping features can compare. If there are any especially creative vocalists out there in the CDM readership (or if you know anyone we should know), please do get in touch; I’d love to talk to you about live vocals and effects with this and other tools.